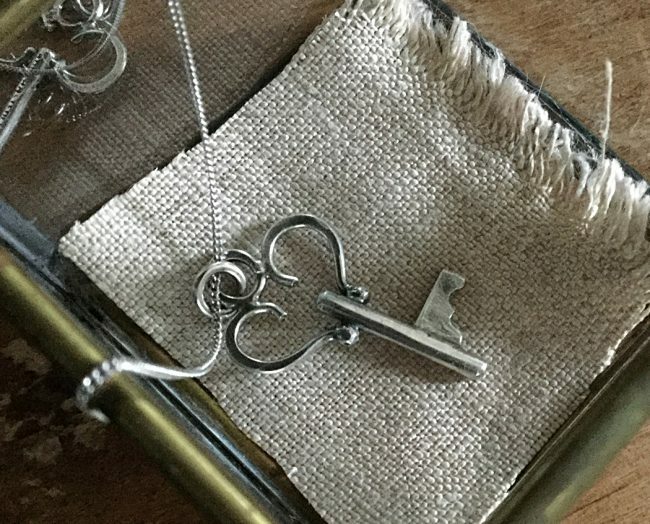 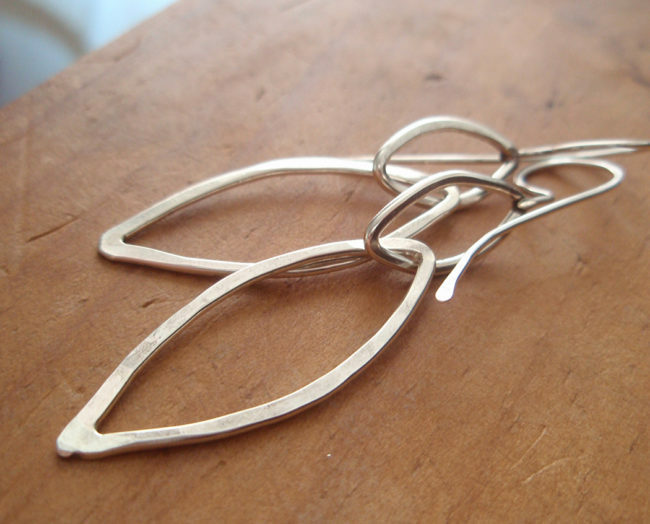 Each sterling silver key is of my own design, carefully hand fabricated as a one of a kind charm. 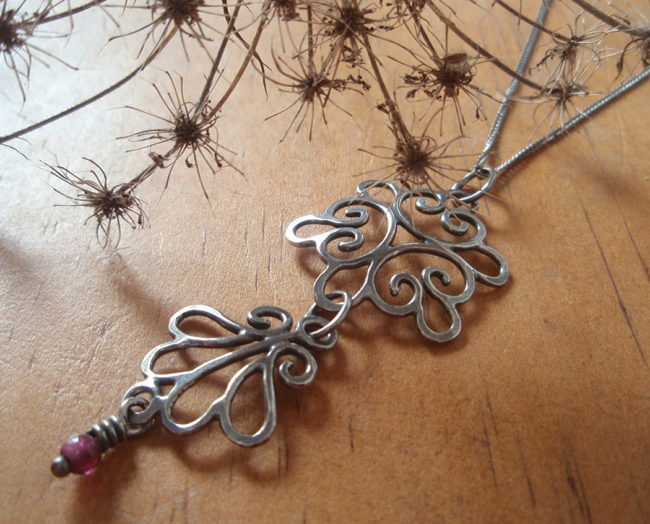 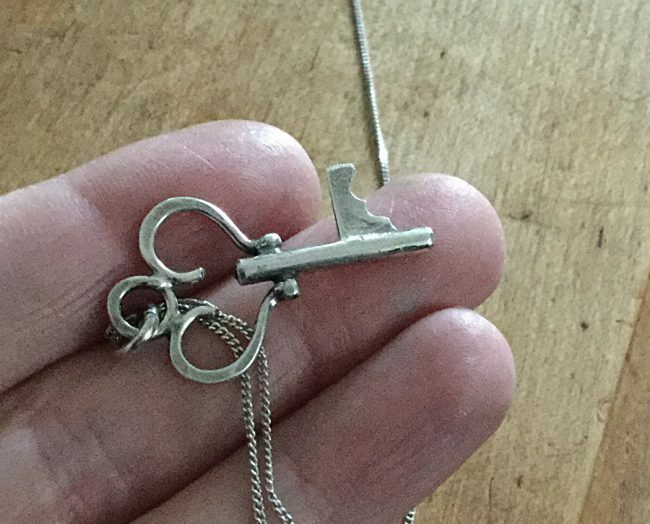 This one has a heart shape at the top with teeth cut from a little piece of sterling scrap, and is stamped on the back. 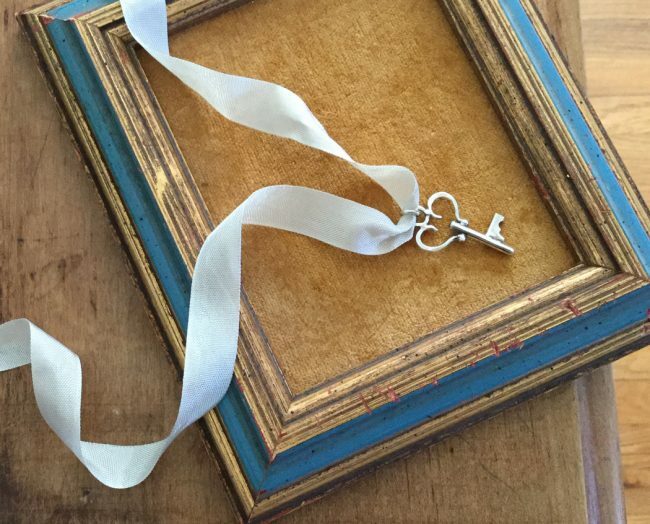 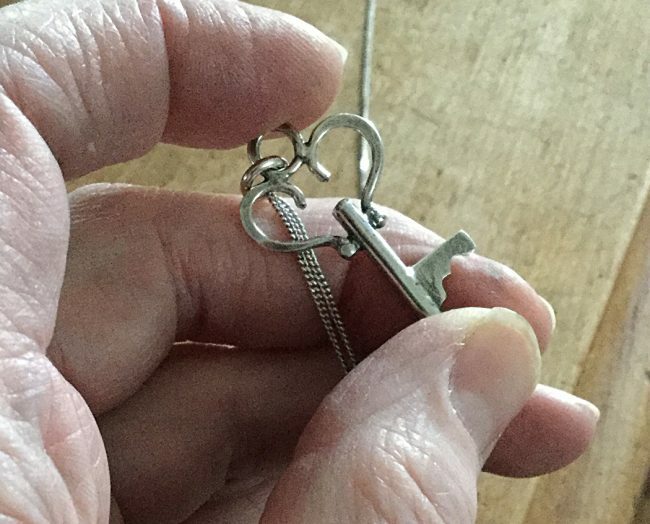 While they may look similar, each of my keys is actually quite unique, as is often the case in so many facets of life… the key may be a sweet reminder to look a little closer, take that second look. 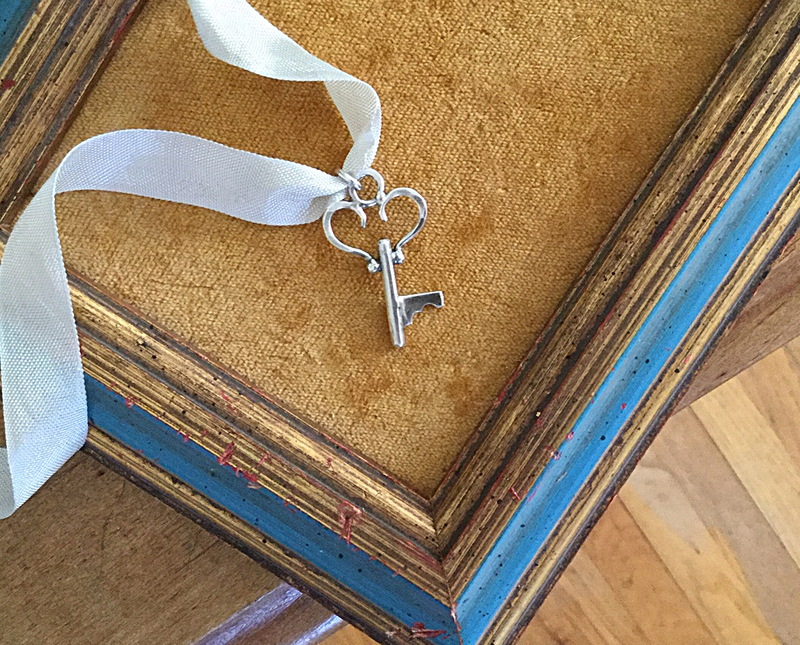 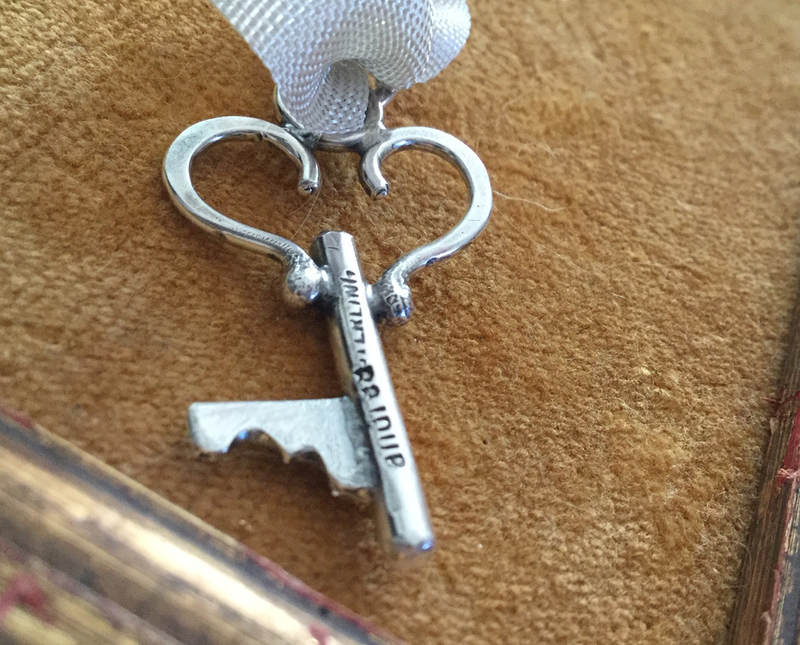 This silver heart key is about 1.25″ high and hangs on an 18″ silver chain. 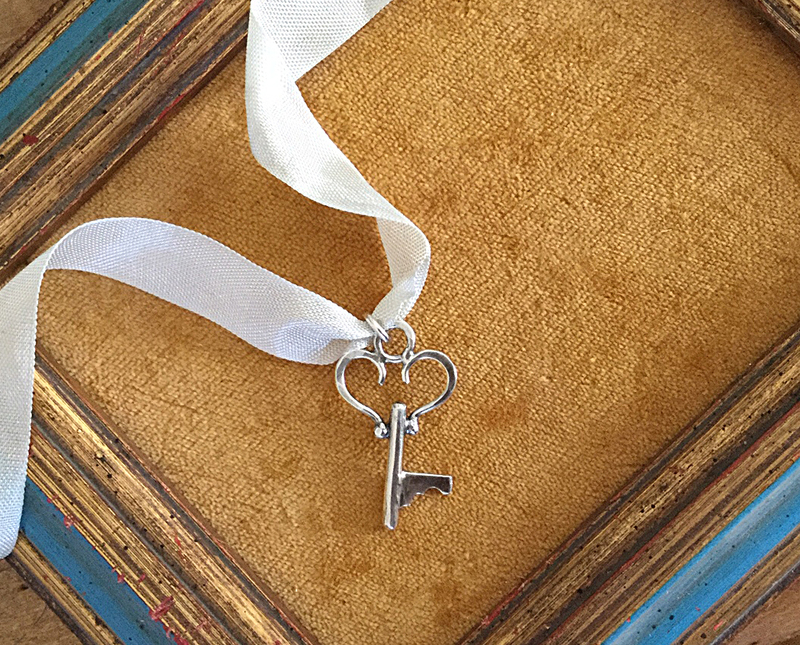 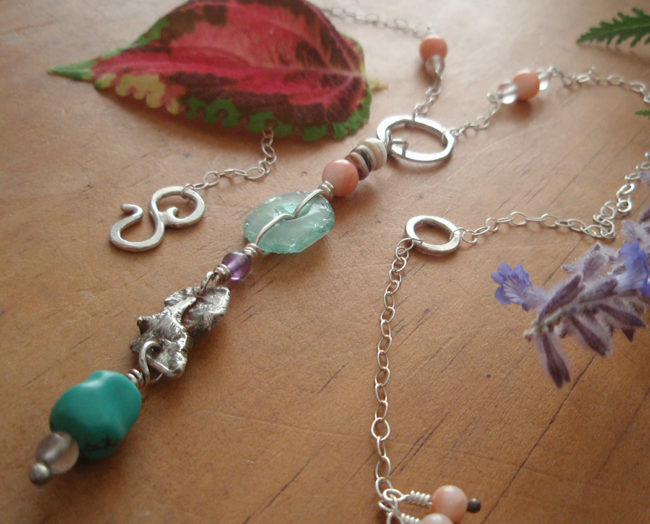 The ribbon in the photos is just for a pretty effect, yours comes on the sterling chain. 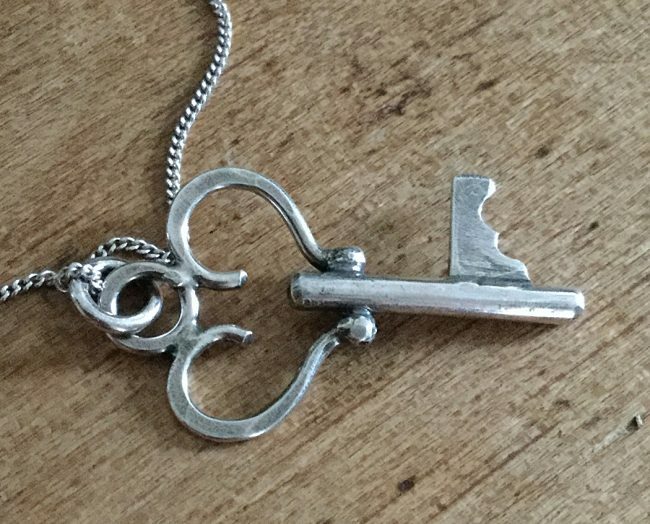 Poke around in the shop if you’d like to see other unique keys in this style.